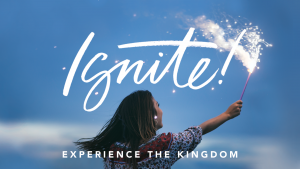 Women AND Men...Come connect with other Vineyard men and women who are committed to exploring healthy ways to increase women leading in our churches, areas and regions. One of our top goals is to help strengthen teamwork among women and men leaders and to resource this aspect of diversity in our movement. Learn ways we are doing this and share your ideas at this one hour Meet and Greet! One of the cores to a healthy church plant is teaching the community through preaching. 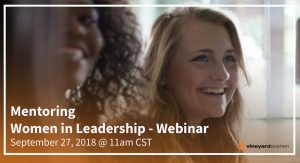 Join us for a conversation on how to hone your best message and find your voice while preaching. Those who attend will learn to receive the incredible gift of God Himself and experience His tangible power in every aspect of life. With the Holy Spirit living inside, we are empowered to do the work of Jesus and live out a “naturally supernatural” life! Come and see! Our Guest Speaker: We are honored to have Dianne Leman join us this year. 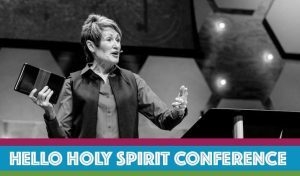 Dianne has been leading The Vineyard Church of Central Illinois with her husband, Happy, ever since the Holy Spirit rocked their lives in 1977. She is a gifted speaker whom God has used to challenge many people within Vineyard movement. 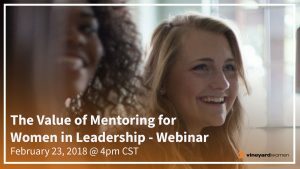 Join us for an exciting webinar along with Rose Swetman, Dianne Leman, and Kathy Maskell as they share on our Women in Leadership mentoring groups that have just finished their first 6-month session. 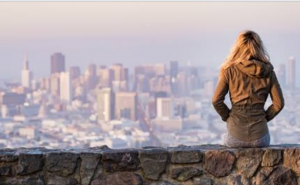 It was a very fruitful launch and we are ready to start our groups again and want to give Vineyard women an opportunity to learn more about this mentoring opportunity, hear from our mentors, ask questions and sign up to be part of one of our next groups. Don’t miss this informative and encouraging time. Register here. 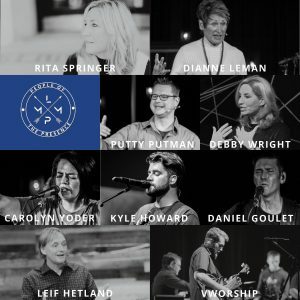 4 powerful days of worship and ministry with Leif Hetland, Debby Wright, Dianne Leman, Putty Putman, and Clay Harrington. Worship by Rita Springer, Carolyn Yoder, Daniel Goulet, Kyle Howard and the VWorship Teams. 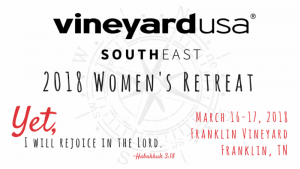 Mark you calendars to attend the Vineyard SouthEast Regional Women’s Retreat Friday March 16th & Saturday March 17th. Come relax, refresh, worship, and have fun together! 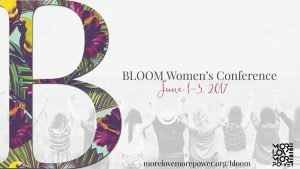 Dianne Leman, Vineyard Women’s Task Force Leader & Co-Pastor of Vineyard Church of Central Illinois will be ministering with her team. Read more about Di at http://www.dianneleman.com SPACE IS LIMITED | Early Bird Registration is $29 until February 23rd and $35 afterward if space available. Hotel Information | Special room rates have been reserved at Hampton Inn & Suites - Franklin Berry Farms if booked by February 23rd Click Here to book. Rooms with two queen beds | $134/night | Sleeps 1-4 people | Booking should be coordinated among friends or with your designated church leader!